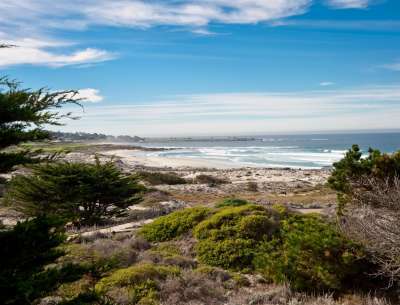 Join Environmental Resources Staff or Docents on an easy walk through the lower Conference Grounds to discover how the approximately 60 different bird species at Asilomar State Beach and Conference Grounds utilize their respective habitats – from Piney Woods to Surf and Shore! Topics will include the most-common Asilomar birds and how to identify them, their natural history, and recommendations for local birding spots to check out. Tour is FREE of charge, lasts approximately 1 hour. Meet at the California State Parks desk in the Phoebe Apperson Hearst Social Hall (Registration Building). Tour content is appropriate for families. Groups of 8 or more people are asked to schedule a separate group tour in advance.